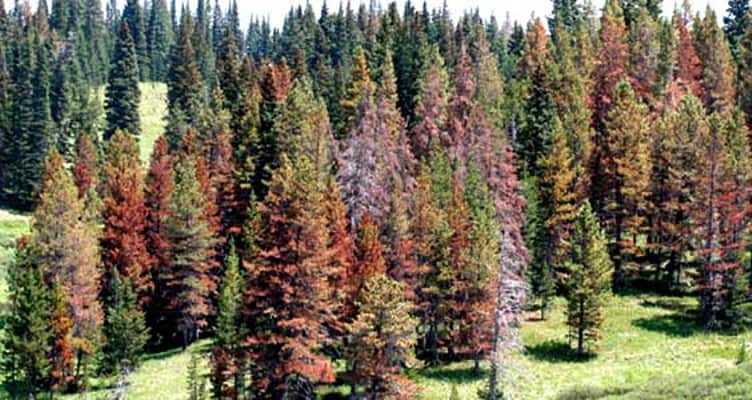 2015 marked the fourth consecutive year that an outbreak of spruce beetles caused widespread tree mortality and since 1996, more than 1.5 million acres have been lost in Colorado due to the insect. But that pales in comparison to the 3.4 million acres of Colorado forestland lost from 1996 to 2013 to the mountain pine beetle (MPB). Producing one generation per year from late summer into September, MPB’s are brown to black, pack boring dust in galleries, has a gradually curved wing and attacks trees 8” and larger. 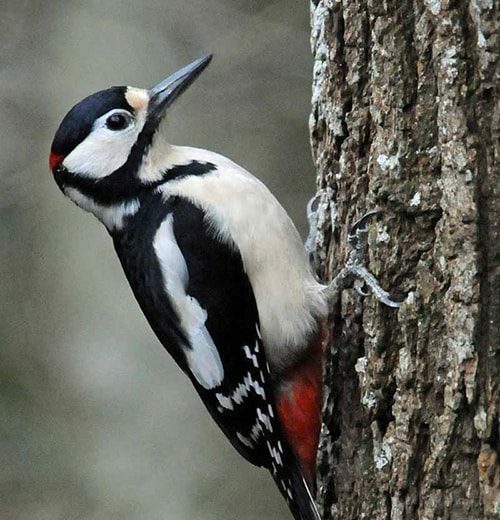 If your trees have an increase of woodpeckers and small round holes in the bark, this could be a sign of MPB infestation. However these symptoms are similar to the Ips beetle, an insect attracted to prolonged drought stress and freshly cut wood. Similar in appearance to MPB, correct identification is important for an effective strategy against breeding. Reading the signs is vital since the emerald ash borer (EAB) also draws woodpeckers, but the green metallic beetle puts vertical splits in the bark and S-shaped tunnels underneath. It was confirmed for the first time in Colorado just a few years ago. 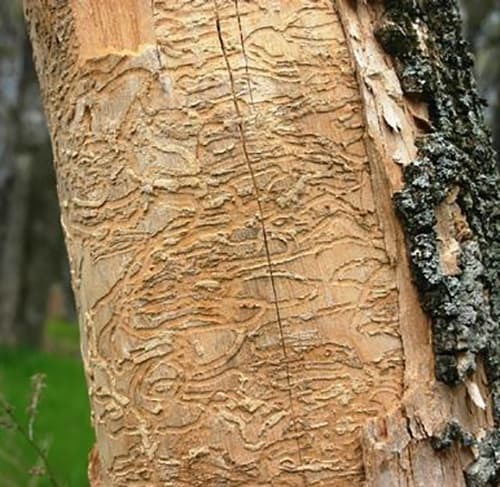 With no natural enemies to regulate its population and an estimated 1.45 million ash trees in the Denver Metro area, steps like the EAB Quarantine prohibiting the removal of any ash products from the quarantined area are necessary. While not on the same level, basic proactive actions to prevent against EAB, MPB, and Ips include removing all freshly cut materials, ensuring adequate water supplies and insecticide applications – once for MPB and twice for Ips. Using insecticides is important, but won’t protect your trees from Fireblight, a bacterial disease that turns leaves yellow, then brown and black while they remain on the branch. It kills said branch and eventually the entire tree or plant if not treated. The easiest way to manage this is pruning the diseased parts of the tree, part of a standard maintenance call to Lifescape. Our experts inspect for insects, imperfections and the early telltale signs of infection every time we come out. Contact us today at 303.831.8310 and speak with our team about ensuring the trees in your landscape live long and healthy lives.